Over the weekend I picked up a BGE platesetter for a reasonable amount and I've already messed around with it a bit (baked some chicken breasts and cooked brats on the outside and then finished them over indirect) and was happy with the results. 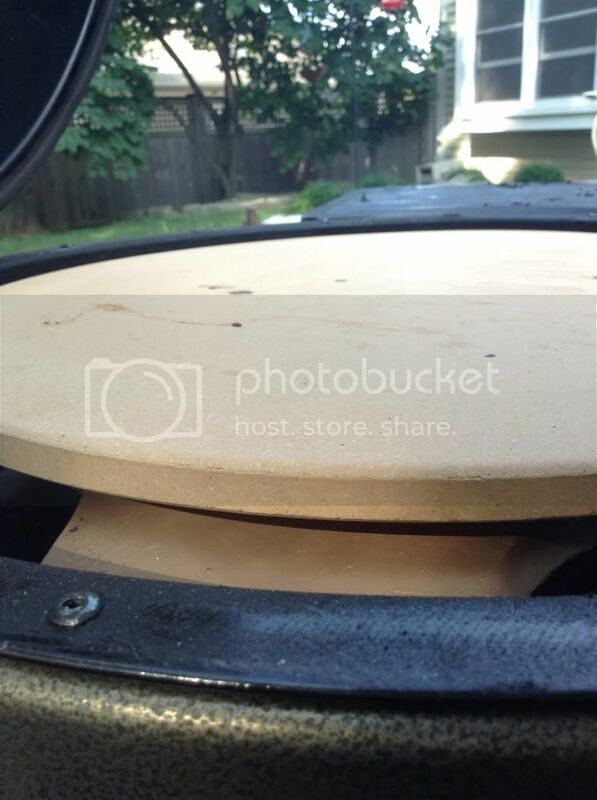 Today I scored a crate and barrel 16" pizza stone for $10 off Facebook and I'm stoked to get it broken in. I think it was used maybe once . It seems to be well made, has a Raised surface on the bottom so it won't sit directly on an inverted plate setter. My first pizza bake on the stone will be pretty lame. 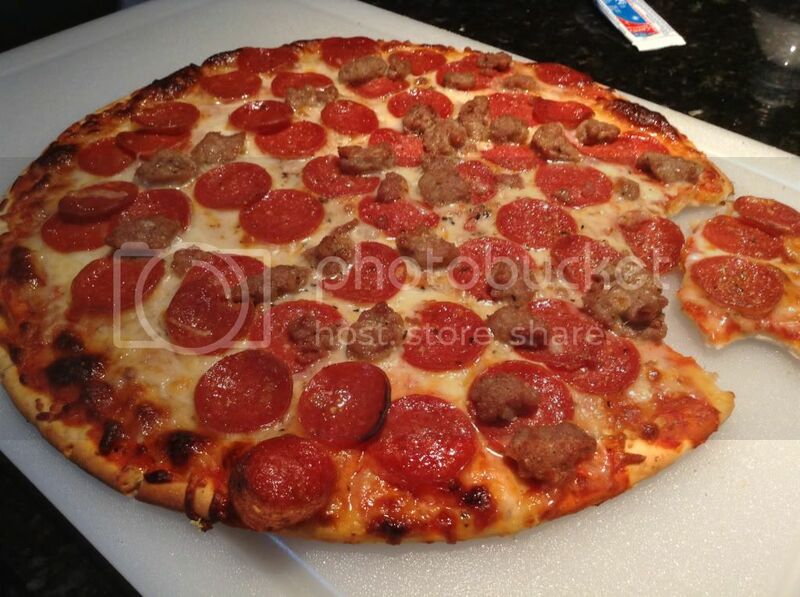 I'm baking a donato's ready made refrigerated pizza and also a frozen brick oven brand rising crust margarita pizza. I was going to make my own, but I decided that if I messed it up I'd be ticked off, so these are my test subjects. Anyways ill post pics of what I did and how it came out for better or worse. Great deals, we'll be looking for pictures. Ok so here's the update. I had everything going as planned yesterday when I got a phone call while I was preheating my bkk. I forgot that I was supposed to go to a community party with a friend and I had to rush my cook. I had only preheated the pizza stone at 400 degrees for about 20 minutes and I knew it wasn't hot enough. But I threw the pizza on anyways as I was going to be late. Picture of the setup. The crate and barrel stone has a good sized raised lip so air can circulate between the setter and stone. Pizza tasted better than the oven bake (as I've made these several times before, but I know I need to preheat the stone much further before cooking. I may do the frozen margarita pizza tomorrow, but I feel like doing brisket next, overall I see the potential for pizza on the bkk, I just wish I wasn't rushed on this one. I know the feeling. I haven't tried to do pizza yet on the Keg, but I was looking at a recipe for roast potato/roast garlic/artichoke/mozza pizza just last night that I might do ... both feet in ... success or no success ... on the Keg. 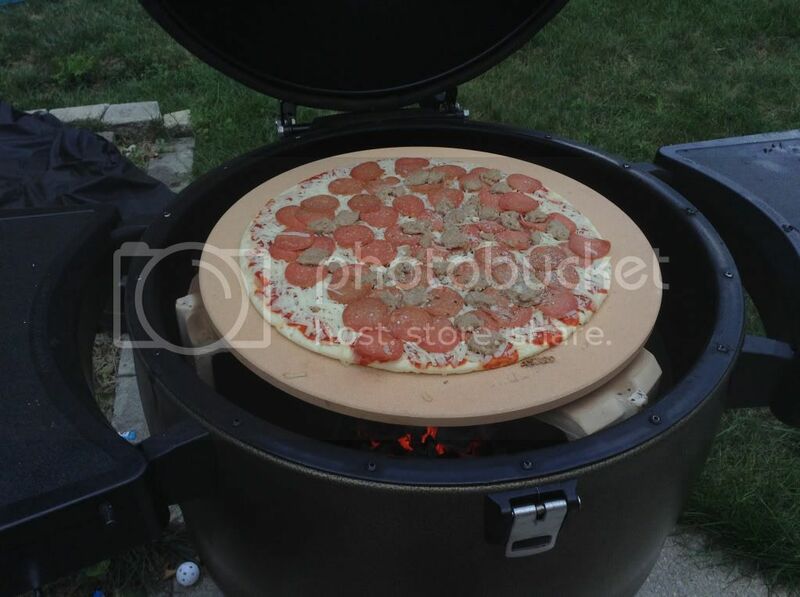 BTW - pizza & pizza stone both look great! Pizza looks good from here DA-Bucks. Don't fret on the pizza. Pizza can be an endless chase for perfection. It's part baking and part deli counter assembly. 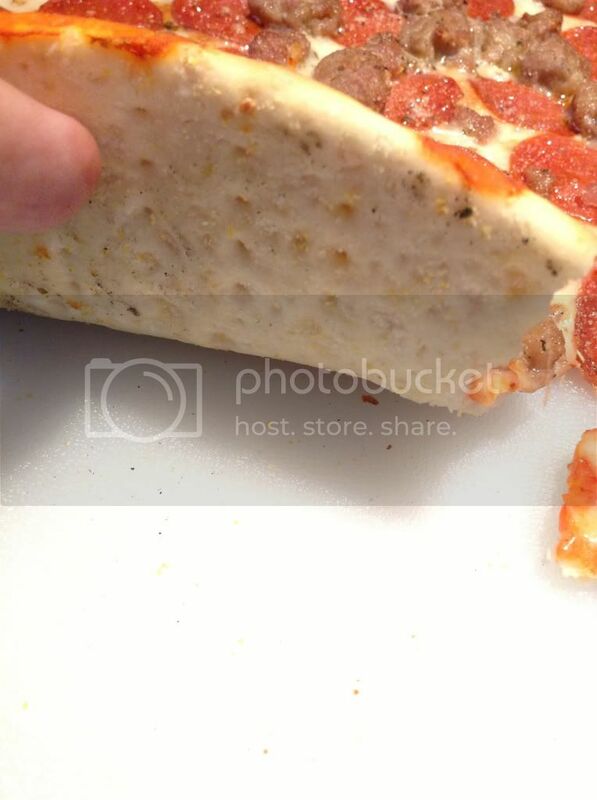 If you haven't already, head over to Pizzamaking.com and check out various recipes. Those guys are "tipped over".